How To Preach A Sermon From Ephesians 5:15-21 is a brief sermon outline of this passage of Scripture which you could preach to your congregation. Would you wish for wealth? Would you wish for health? One man in the Bible was asked this very question by God. "Ask! What shall I give you?" (1 Kings 3:5). What did he ask for? He didn't ask for wealth, health or victory over his enemies. Instead, he asked for wisdom (1 Kings 3:6-12). Wisdom is a precious commodity in the sight of God. God wants us to walk wisely in Lord. "Be very careful, then how you live - not as unwise but as wise" (Ephesians 5:15). The Greek word used here is NOT hora (usually translated hour) and it is not chronos (usually translated chronology - measured time). The Greek word is kairos which refers to an appointed, a fixed or special occasion. In other words, when opportunity knocks, don't let those occasions pass you by. God gives us opportunities to hear His word, to share our faith and to serve His will, don't let those opportunities pass you by. Discerning God's will for our lives is important. It will help us to think biblically and walk wisely in the Lord. What is God's Will? Here are some thoughts! In short, to walk wisely in the Lord is to have a testimony that reflects a Spirit-filled life. What does it mean to be Spirit-filled? Someone said, "Each Christian has all of the Spirit, but the command here is that the Spirit have all of him or her." In short, to be filled with the Spirit is to yield one’s life totally to God day by day and moment by moment. As you can see, this sermon is a deductive sermon. It has a main preaching point with sub-points and incidental points. 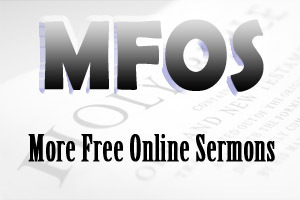 If you want more information about how to preach a sermon, click on this link.